Two hours by bus from Sarajevo lies Mostar, a pictureesque town known world-wide for its beautiful Old Bridge (Stari Most). 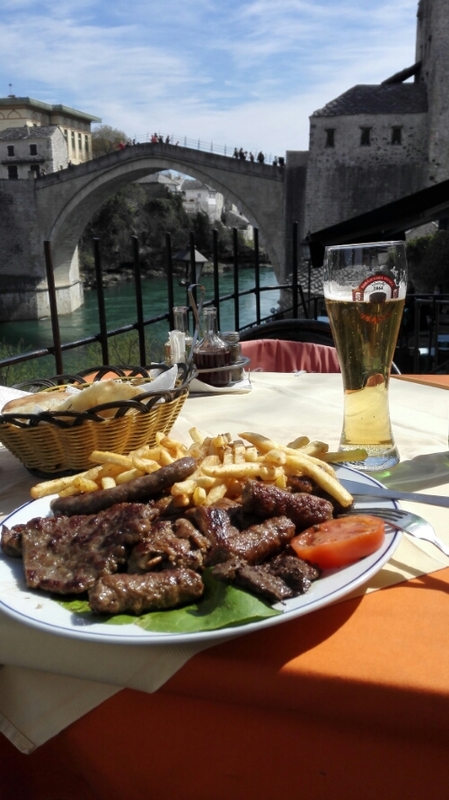 This entry was posted in Bosnia-Herzegovina and tagged balkan war, food, mostar, UNESCO on March 31, 2015 by Traveltorgeir. Taking the bus from Sarajevo to Mostar gave me a chance to see some of Bosnia’s nature. Its mountains, rivers, valleys and villages. The Bosnian countryside really is beautiful. We rode through quaint little villages, over beautiful fields, over steep mountain passes and along scenic valleys. The bus ride took a few hours giving me plenty of time to enjoy the view. I took the bus from Sarajevo in the morning, arriving at Mostar in time for lunch. On the way to Mostar it was plenty of space on the bus. On the return journey it was packed. Most of my time was spent staring out the window, the views were magnificent. Wishing I could kep them forever, I kept snapping pictures, but it is just not the same. Next time I want to rent a car and drive through the country, giving me a chance to stop at some of the places. Here are some pictures from my ride. This entry was posted in Bosnia-Herzegovina and tagged Bus trip, Countryside, mostar, sarajevo on March 31, 2015 by Traveltorgeir. 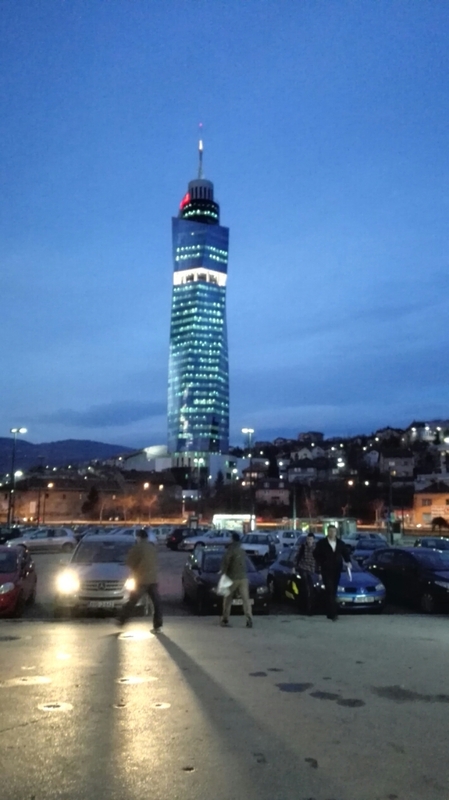 This evening, my excellent guide took me first to Avaz Twist Tower for a superb birds eye view of Sarajevo, then to the revolving restaurant on top of Radon Plaza for a great meal. Recommended for any visitor to Sarajevo! The view from the tower is great, you can see the whole city of Sarajevo, and the food at Radon Plaza was excellent. Here are some pictures from my evening. This entry was posted in Bosnia-Herzegovina and tagged balkan war, food, sarajevo, View from above on March 30, 2015 by Traveltorgeir. Today, I have been guided around the Bosnian capital by a local friend of my mum. I have seen the old town of Bašcaršija, an old Ottoman market, the rebuilt City Hall, several old mosques and churches as well as places of historical interest. Sarajevo seems like a very interesting city, and I can’t wait to explore more of it in the coming days. A longer description will follow, but I will share some pictures from my day sightseeing in Sarajevo with you. This entry was posted in Bosnia-Herzegovina and tagged sarajevo, sightseeing on March 30, 2015 by Traveltorgeir. It took me twelve hours from leaving my apartment in Trondheim, four flights and four countries. Direct flights to Sarajevo are not the most frequent flights from Trondheim. I changed flights in Oslo, Stockholm and Vienna but at last I have arrived. I was picked up at Sarajevo Airport by my airbnb—host. Excellent service. If only my bag had arrived as well, apparently it is still in Vienna. I am hoping it will arrive tomorrow. 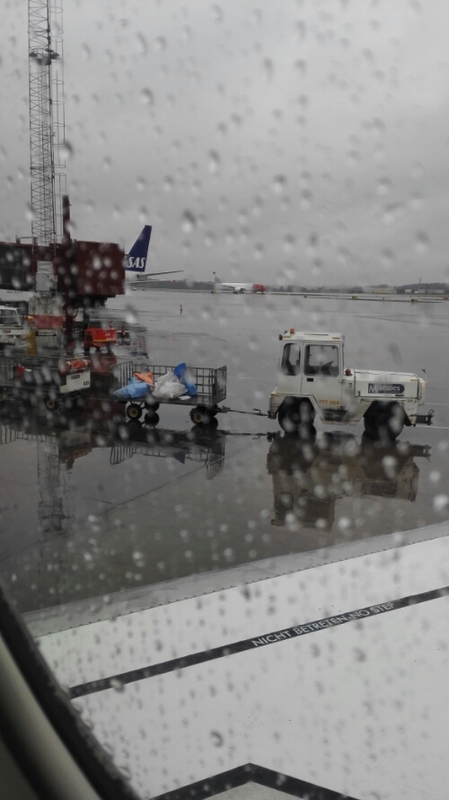 This entry was posted in Bosnia-Herzegovina and tagged airbnb, flying, sarajevo on March 29, 2015 by Traveltorgeir. When I was young, I remember Sarajevo and Bosnia from the news. Pictures and videos of bombed out buildings, refugees on the run, crying women and children. A country torn apart by civil war. In history class at school we then learned about the shots in Sarajevo and how this episode became the start of the First World War. 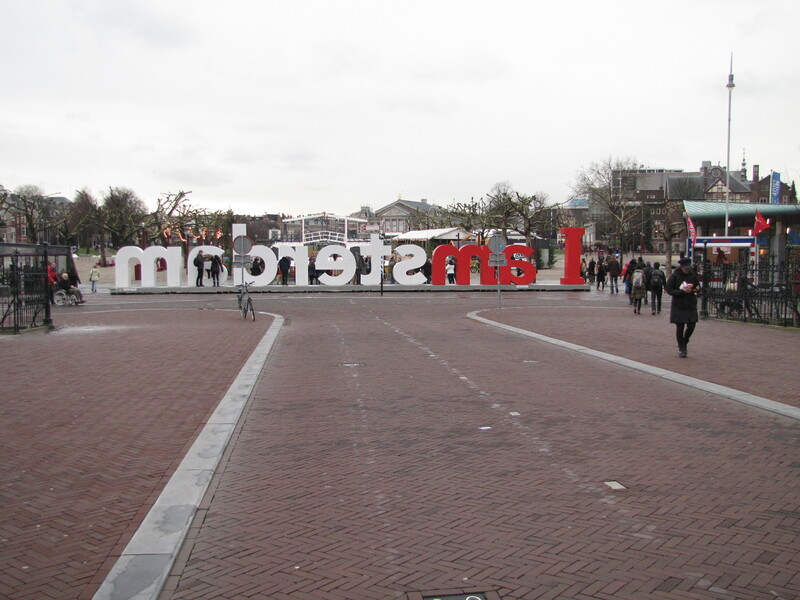 Since then, the city has fascinated me and I have always wanted to go there. A city steeped in history, a meeting place of different civilizations, a melting pot of religion and ethniticity. 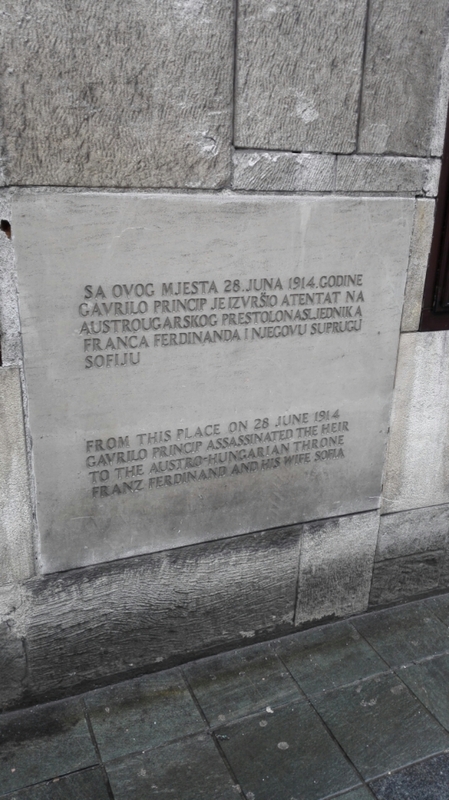 This entry was posted in Bosnia-Herzegovina, history and tagged balkan war, sarajevo on March 28, 2015 by Traveltorgeir.